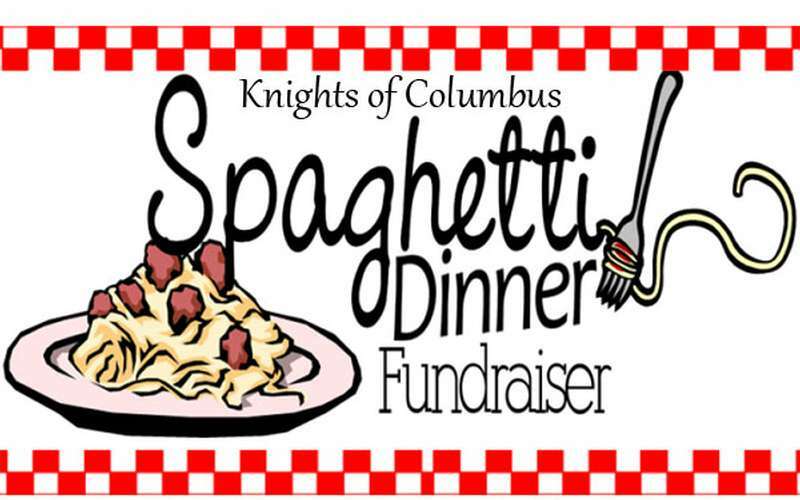 The St. Edward Knights of Columbus will kick off their 2019 fundraising with a Spaghetti dinner to be held in the social hall at St. Edward’s church in Clifton Park from 4 to 8 pm, Saturday January 26th. Funds raised by this event represent up to 20% of the Knights’ annual budget. The St. Edward Knights help support over 29 different charities and community events, including Birthright, Captain, Care Links, Little Sisters of the Poor, Make-a-Wish Foundation, St. Jude’s Children’s Hospital, Regional Food Bank, and others. Additionally the Knights sponsor an annual Scholarship program and youth activities like their soccer and basketball shootouts. The spaghetti dinner famously includes a full meal consisting of a generous plate of spaghetti with meatballs, bread, salad, soft drinks, and a desert. While take-away meals are available, there is ample seating available for dining-in with friends and family. The price of the dinner is $7 for adults and $5 for children ages 6 to 12; children under age 6 are free. All are welcome.